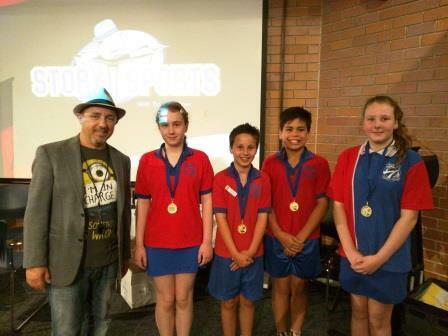 The heats for the Ipswich Story Sports Cup were held in Ipswich on Monday 16 and Tuesday 17 November 2015. The winners that will compete for the Cup on Wednesday 25th November are Bethany Lutheran Primary School, Kruger State School, Karalee State School and Leichhardt State School. Brian Falkner runs this team writing competition in Ipswich each year. It is supported by Ipswich Libraries. Their team goes into schools to give the students a practice run so they know how it all works.